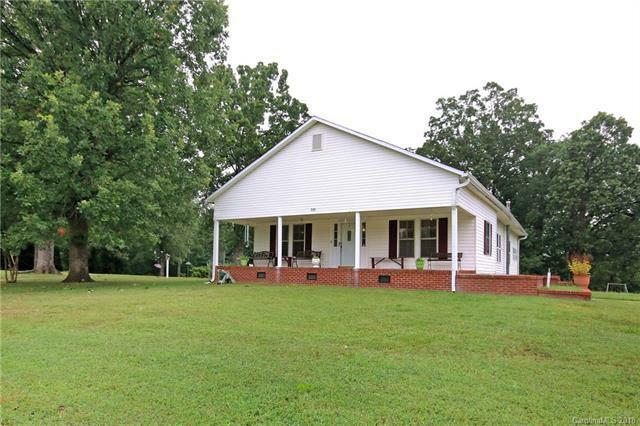 Great home on 2.8 acres off exit 45. 2 separate lots. Home on 1.86 acres separate lot on .94 of an acre. Very spacious open floor plan. Large master closet is located outside of bedroom 4 so only listed as a 3 bed. Well maintained home has large kitchen and bathrooms. Laundry area has a second sink and stovetop for extra cooking space and entertaining. Large lot has a one car detached garage and 2 storage sheds with power. Great location with plenty of space to build a large shop or garage on the second parcel pending local zoning approval of set backs etc...This is a wonderful home that has been well cared for with a covered front porch for lazy afternoons.Nice partially wooded lot with plenty of space and no HOA. This home is a must see!